Adrienne Murray and Jennifer Neville spoke last week at Buildex Vancouver, a key property industry tradeshow, as panel members for a PAMA (Professional Association of Managing Agents) educational session. Jennifer reviewed Human Rights legislation as it applies to strata corporations, including how complaints arise and how strata managers should deal with them. 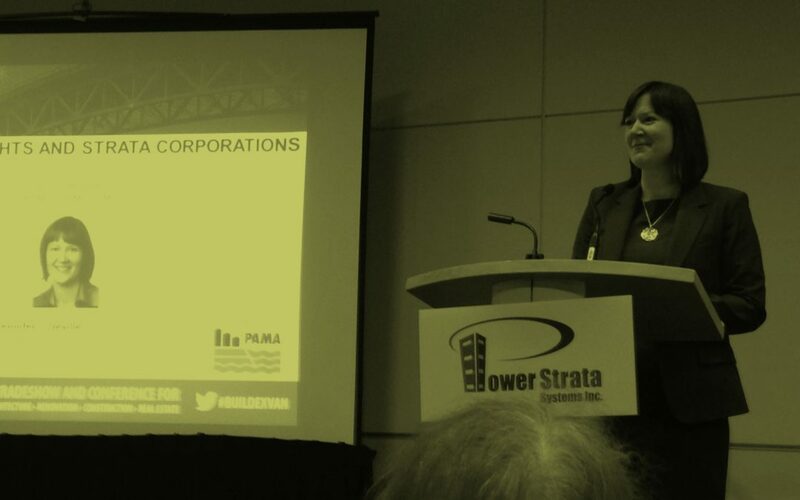 Adrienne reviewed recent strata cases and amendments to the Strata Property Act and highlighted how they will impact governance and decision making for strata corporations. Congratulations to Buildex and PAMA on organizing another successful event.